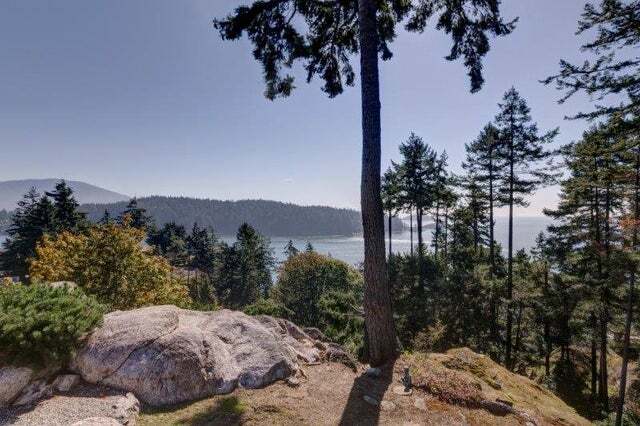 Stunning Ocean View Executive Home in Gibsons. This beautiful home was fully renovated in 2007. Designed with the potential for an exclusive B & B and tastefully decorated with his and hers suites with an additional lower suite. The home has numerous high end features included but not limited to 2 gas fireplaces, elevator, covered decks, stone counters, walk-in showers and elegant bathrooms. The home is situated on a low maintenance lot with a well planned garden, south exposure, and has potential for RV parking and subdivision. Views of lower Gibsons, North Shore Mountains and out to Georgia Straight. All this and a short walk to the beach, marina and shops. Floor Area 2,801 Sq. Ft.